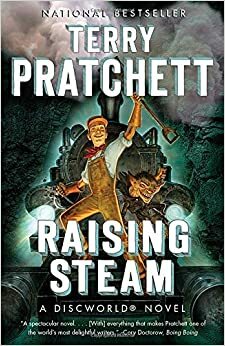 Yes, TP is still working away,still battling Alzheimers, and there is a new Discworld novel [the 40th], called Raising Steam due out later this year. Meles, Channel 4 did a something similar a few years back, with The Edwardian Country House, the 1900s House and the 1940's House They should be on youtube as well. I can’t remember in Wolf Hall exactly how the subject of the dissolution of the monasteries is dealt with or how much background knowledge the reader is expected to have. I am, however, fascinated by the debate among historians on this topic. One view is that the Roman Church and the monasteries had become parasitical institutions which inhibited social, economic and philosophical progress and their dissolution was the best thing which could have happened to England at that time. Another view is that the dissolution was a socio-economic disaster which at a stroke removed a whole safety net of medical and social services which the poorer members of society in particular had hitherto relied upon. It’s been characterised as a sort of 16th Century equivalent of a sudden privatisation of the health service and the welfare state. Whatever the truth of the matter, it is the detail which is fascinating. 'La chartreuse de Valldemosa contenant tout juste, suivant la règle des chartreux, treize religieux y compris le supérieur, avait échappé au décret qui ordonna, en 1836, la démolition des monastères contenant moins de douze personnes en communauté ; mais, comme toutes les autres, celle-là avait été dispersée et le couvent supprimé, c’est-à-dire considéré comme domaine de l’État. L’État majorquin, ne sachant comment utiliser ces vastes bâtiments, avait pris le parti, en attendant qu’ils achevassent de s’écrouler, de louer les cellules aux personnes qui voudraient les habiter. Quoique le prix de ces loyers fût d’une modicité extrême, les villageois de Valldemosa n’en avaient pas voulu profiter, peut-être à cause de leur extrême dévotion et du regret qu’ils avaient de leurs moines, peut-être aussi par effroi superstitieux : ce qui ne les empêchait pas de venir y danser dans les nuits du carnaval, comme je le dirai ci-après ; mais ce qui leur faisait regarder de très-mauvais œil notre présence irrévérencieuse dans ces murs vénérables. Cependant la Chartreuse est en grande partie habitée, durant les chaleurs de l’été, par les petits bourgeois palmesans, qui viennent chercher, sur ces hauteurs et sous ces voûtes épaisses, un air plus frais que dans la plaine ou dans la ville. Mais aux approches de l’hiver le froid les en chasse, et lorsque nous y demeurâmes, la Chartreuse avait pour tous habitants, outre moi et ma famille, le pharmacien, le sacristain et la Maria-Antonia. The Carthusian charterhouse of Valldemosa numbering just 13 monks, including the abbot, had escaped the decree in 1836 which ordered the destruction of all monasteries comprising communities of fewer than 12 members, but as with all the others, the monks were dispersed and the buildings sequestrated, that is to say, taken into state ownership. The State of Majorca, not knowing what to do with these huge edifices, came to the decision that, while waiting for them to fall to ruin, they would lease the cells to anyone who wanted to live there. Although the price of the leases was extremely modest, the villagers of Valldemosa had not wanted to profit from it, perhaps out of piety and regard for their monks, maybe also out of superstitious fear - this didn’t prevent them from coming there to dance on carnival nights, as I will explain later, but it did make them take a very dim view of our irreverent presence within its venerable walls. During the summer heat the charterhouse is, however, mainly occupied by members of Palma’s middle class who come to seek in its altitude and within its thick vaults cooler air than can be found on the plain or in the city. 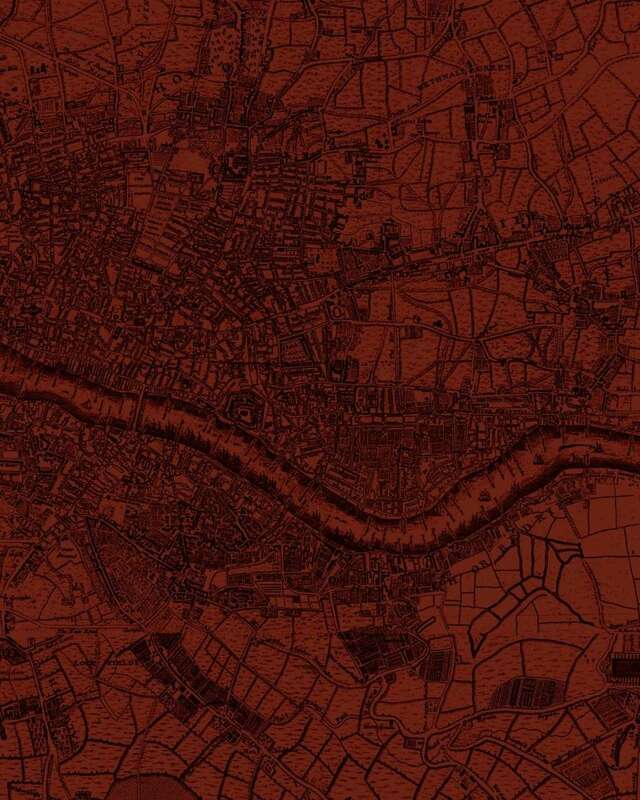 But as winter approaches the cold chases them away, and while we were residing there the only inhabitants of the charterhouse other than me and my family, were the chemist, the sacristan and Maria Antonia. Maria Antonia was a sort of warden who I believe had come from Spain to escape poverty and who had rented a cell in order to exploit the paying guests of the charterhouse. Her cell was situated next to ours and served as our kitchen, while the lady was supposed to serve as our housekeeper. Needless to say that Chopin’s respiratory health would actually have been better served had they stayed in France and wintered, say, on the Riviera rather than in a cold monastic cell in the Majorcan mountains being preyed on and ripped off by a ruthless housekeeper. It’s a factual account which nevertheless reads like a work of fiction. My question, however, is this. Does anyone know anything more about the dissolution of monasteries in Spain in the 1830s? Sand and Chopin arrived barely 3 years after the event but the book gives very little background information on the political scene in Spain at that time. about George Sand I made here somewhere on our forum a thread about the French Second Republic, not so well know in general history and George Sand involved in it. As I saw a documentary about it I researched it more in depth as I now did...but a lot of information seems to have gone...I don't know why...can you think about a reason? "My question, however, is this. Does anyone know anything more about the dissolution of monasteries in Spain in the 1830s? Sand and Chopin arrived barely 3 years after the event but the book gives very little background information on the political scene in Spain at that time"
"My question, however, is this. Does anyone know anything more about the dissolution of monasteries in Spain in the 1830s? Sand and Chopin arrived barely 3 years after the event but the book gives very little background information on the political scene in Spain at that time." The revolution of 1820 brought into power the “jailbirds”—liberals of the 1812 vintage who had been persecuted by Ferdinand VII. The constitution of 1812 was reestablished together with other liberal legislation, including the sale of monastic property. "The radical politicians, however, accepted a more moderate compromise constitution—that of 1837. Of more enduring importance was the sale of church lands to finance the war. The great disentailment carried out by Prime Minister Juan Alvarez Mendizábal and his successors profoundly altered the social structure of Spain by putting on the market large quantities of land, most of which were bought by large landowners or prosperous peasants." I didn't even know that the monasteries in Spain had been dissolved in the 1830s. My scant knowledge of 19th century Spain at a somewhat earlier epoch is from what I can remember of what I learned of the Peninsular War at school (I can't remember much). I've seen some of the reruns of the TV show based on Bernard Cornwell's Sharpe novels and one series was based in Spain at the time of the Peninsular War. I don't know how many liberties (if any) Mr Cornwell took - still Sean Bean was a handsome young man in those days in the title role. There was a series of children's books called "Polly and Oliver" (based on the song "Sweet Polly Oliver" I suppose). I remember I liked them at the time I read them but don't recall the stories at all. I didn't even know that the monasteries in Spain had been dissolved in the 1830s. That's what surprised me too LiR. I was vaguely aware of anti-clericalism in that part of the world at the end of the 19th century or beginning of the 20th century but not so early on in the 19th. Spanish domestic history is generally an unknown road for me and 19th century Spanish history is a veritable black spot. So thank you Paul for those pointers. I had heard of the Carlist Wars but that was pretty much it – just heard of them – and couldn’t tell you when they were, who they were between or what they were about. It’s slightly odd, therefore, that the war beginning in 1936 is referred to as ‘the’ Spanish Civil War when there seems to have been a whole series of them during the 19th Century. So 100 years before 1936, it seems that the monasteries were dissolved (which co-incidentally was 300 years to the year after they were dissolved in England) while the First Carlist War was raging between the Carlists and the Isabelines. This conflict is sometimes (although perhaps over-simplistically) depicted as being between ‘conservatives’ and ‘liberals’. You see at that time (1838) the factions overran the whole country with roaming bands, set up road blocks, invaded towns and villages, ransacked even the most modest homes, billeted themselves in houses only half a league from a given town and would randomly came out from hiding places in rocks to demand from a traveller his purse or his life. Behind a triple girdle of canons and isolated from the rest of Spain by brigandage and civil war, the sparkling youth promenaded in the sunshine along La Rambla, a long tree-lined avenue of apartments similar to our boulevards - the women beautiful, graceful and coy, interested only in the fold of their mantillas and the flick of their fans , the men engrossed with their cigars, laughing, chatting, eyeing the ladies, discussing Italian opera and not seeming to be bothered about whatever was happening on the other side of the walls. At no point in the book does Sand mention the factions in the civil war by name and neither does she suggest any sympathy for either side. I suspect, however, that this is simply good practice – i.e. as a foreigner and a tourist, not taking sides in the internal party politics of a country one is visiting and certainly not doing so when that country is in a state of civil war. Apart from later mentioning that there are quite a few refugees from Spain in Majorca and that the islanders themselves showed little inclination to travel to the mainland to take part in the conflict, the civil war really is a minor footnote in the background of the book. It’s much more about their extraordinary experiences during that winter, interspersed with plenty of fascinating anecdotes regarding the contemporary culture of the island and also its history. Not that I've read it yet but I see that the historian, Ian Mortimer, wrote a book in 2010 called Medieval Intrigue: Decoding Royal Conspiracies. That'll have to go on my library list.